While studying in France, Germany and the Netherlands, Cyril has become an original political activist. He worked as an assistant in the European Parliament during the 2004-2009 legislature. He also managed internal party structures, political campaigns in major French cities such as Marseille, and was himself candidate to regional and local elections, as well as a political advisor during the recent French presidential elections. He has developed a spin doctor expertise and advised various representatives, from the local scene to Ministers, MPs and MEPs from different parties and countries. He participated in the foundation of EU40 and has worked with its board and members since then. He co-founded his first communication agency in 2007, identifying an urgent need for institutions and politicians to improve their digital management. 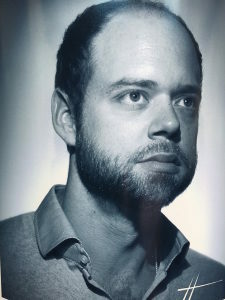 In 2009, he founded Polydea (SAS), a 360° communication agency, offering specialised political consultancy and traditional advertising services. Polydea works with worldwide companies, institutions and political leaders to develop innovative marketing concepts and implement new branding and communication strategies. Cyril regularly participates in international conferences as a guest-speaker on political and digital communication.